Kids of any age can learn the basics of good character and figure out what they stand for. 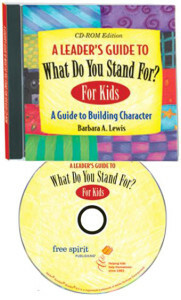 This leader’s guide is a companion to the children’s book, What Do You Stand For? For Kids. 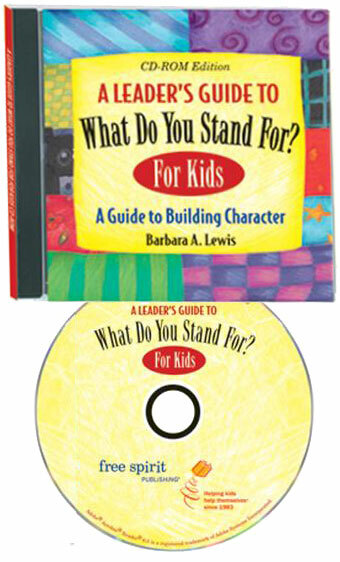 The 11 lessons on the CDROM provide a complete course for kids on caring, citizenship, cooperation, fairness, forgiveness, honesty, relationships, respect, responsibility, and safety—consensus values identified by many schools and communities. Easy-to-use lessons provide ample opportunities for discussion, reflection, and action. They include thought provoking questions, role-plays, additional “What If?” character dilemmas, detailed activity instructions, and further resources. This leader’s guide can also be used in any group setting from classrooms to youth groups. Includes additional dilemmas and reproducibles.